Yesterday’s elections ended what has been a highly headed and controversial races. Imbedded in several state laws were included minimum wage increases. Maine, Arizona, and Colorado all voted to increase the minimum wages in those states to $12 an hour. Washington voted to increase minimum wage to $13.50 an hour. Conversely, South Dakota had a measure on the ballot that was designed to lower minimum wage for non-tipped, minor employees. That measure failed. In Maine, minimum wage increases from the current amount of $7.50 an hour to $12 an hour by the year 2020. 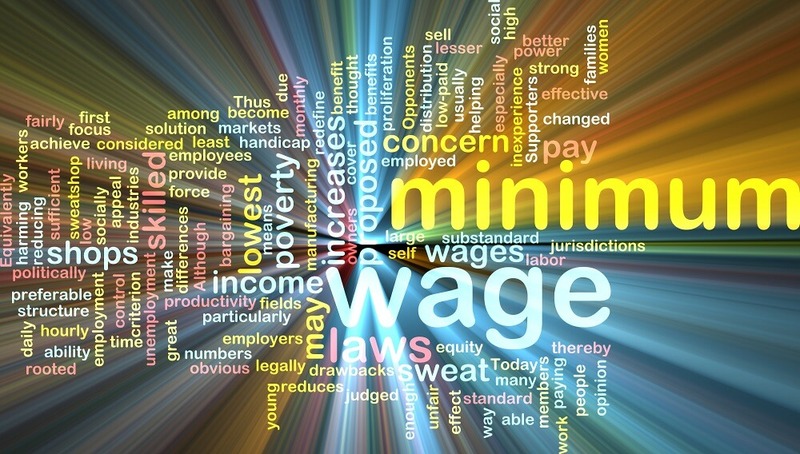 The new laws also put into effect an increasing minimum wage that keeps up with inflation. In 2017 minimum wage will increase to $9. Annually, minimum wage will see a $1 hike each year until 2020 when it reaches $12. Additionally, tipped workers received a minimum wage increase to $5 an hour. The tipped workers wage will continue to increase by $1 an hour each year until the year 2024, when it is expected to catch up with the regular minimum wage. The Main legislation allows for tip credit only if employers notify employees in advance and must be able to prove that after tips, the employee makes the state minimum wage. Maine voters passed the measure with roughly a 55% majority. In Arizona minimum wage increase in 2017 to $10 from the current rate of $7.50. Before the measure passed, the minimum wage was set to increase to $8.05. The new minimum wage raises are as follows. In 2017 the wage increase to $10. In 2018 it will increase to $10.50. 2019, minimum wage increases to $11 and in 2010 it increases to $12. Tips can account for $3 of the minimum wage requirements for tipped employees. Arizona also enacted sick leave laws. Businesses that employ 15 or more employees will not be required to offer 40 hours of sick leave each year. Sick leave will be available for medical care for employees and their families, public health emergencies, and to address domestic violence. Small employers who have less than 15 employees will have to provide 24 hours of sick leave each year. The new sick leave laws are set to start July 1, 2017. Colorado’s minimum wage increase the minimum wage from $8.31 to $12 by 2020. In Colorado, the state law does not allow individual cities to set a higher minimum wage than the statewide minimum wage. With the new measure the minimum wage increases in 2017 to $9.30 an hour. Minimum wages will increase by $0.90 each year until the year 2020, when it reaches $12. Tip employees will see their wages increase also as the measure allows for no more than $3.02 in tip money to offset the minimum wage. Washington passed the highest minimum wage increase on the ballots in 2016. Currently, the minimum wage in Washington is $9.47. January 1, 2017 minimum wage will increase to $11 and to $11.50 in 2018. Minimum wage increases again by $0.50 in 2019 to $12, but makes a jump in 2020 to $13.50 an hour. 2021 minimum wage will increase to $13.85 and in 2022 to $14.23. Tips and gratuities are not counted toward the state’s minimum wage laws. All of the tips received by a business are to be passed on to the employees. In addition, the legislation includes paid sick leave for all businesses. Employees in Washington will now earn 1 hour of sick leave for every 40 hours worked. The new paid sick leave will cover sickness and medical treatment for employees and their families as well as to address issues related to domestic violence. Paid sick leave starts Jan 1, 2017. South Dakota refuses to repeal minimum wage law. Voters in South Dakota voted against a measure that would lower the minimum wage for minor workers from $8.55 to $7.50. The measure failed through a 71% “no” response across the state. The measure established specific guidelines for establishments that would be allowed to lower the minimum wage. However, businesses will not need to make adjustments as this measure failed. Getting Ready for January 1, 2017. In Maine, Arizona, Colorado, and Washington, the new measures take effect in less than 2 months. Companies need to ensure that they have the software and have taken effective measures to be compliant. Each state has costly penalties and fines for businesses that do not comply with the new legislation. SwipeClock can help your Payroll and Human Resource department to be ready for these changes with software that can track state requirements and maintain records of your compliance. Written by Annemaria Duran. Last updated November 9, 2016.